SEATTLE -- At PASS Summit 2017, Microsoft highlighted recent steps that are part of a larger drive to enhance its data-oriented hybrid cloud services. These ranged from new data migration services for those ready for the cloud journey to added data integration features in its Azure Data Factory service that can help SQL Server Integration Services users make the leap. 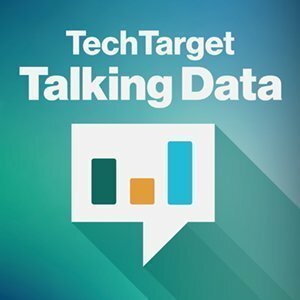 Also on tap are Power BI updates that improve the on-premises versions of key reporting services, according to this edition of the Talking Data podcast recorded after the PASS Summit's opening keynote session. At the conference, Microsoft said Power BI Report Server, an on-premises companion to the cloud-based Power BI service, is adding features to put on-premises reporting operations on par with Power BI equivalents in the cloud. Overall, the cadence of feature additions to subscription-based Microsoft Power BI updates will be more frequent, according to the company, and Power BI Report Server seems to be one example. Power BI Report Server became available in June, with additional features introduced in August as part of a preview release. The new version outlined at PASS Summit includes those functions and others, such as data refresh and direct query features. It also offers a REST API that represents a significant shift from the SOAP one previously supported by Microsoft. The REST API was first added to the SQL Server 2017 version of SQL Server Reporting Services, the enterprise reporting platform that Power BI Report Server is built on; the API now has been extended to cover additional report types supported for Power BI users, Microsoft said. Updates like these show Microsoft availing users of more modern programming methods. They also show that Microsoft, which fashioned early Azure forays around very cloud-specific offerings, is now intent on filling in the blanks with hybrid product features that help span cloud and on-premises deployment scenarios. Power BI, first released in 2013, has emerged as Microsoft's growth path for Excel spreadsheet jockeys entering a world of ever-more diverse data sources and increasing data volumes. In some quarters, it is seen as Microsoft's answer to well-received Tableau analytics tools for business users. The Power BI tool set is an important asset among several ways Microsoft is supporting advanced big data analytics. Power BI updates in terms of data source integration were of interest to one PASS Summit attendee who works with teams that analyze travel and other types of data. "Grabbing and melding data" is a lot of what Nathan Linden does. But he'd like to do less of that. Linden is a transport analyst at Egencia, an Expedia travel services company based in Seattle, and he's versed in both Tableau and Visual Studio. In an interview before this Talking Data podcast was recorded, he said he was at the PASS Summit to gain a better understanding of the tools available from Microsoft for data integration. If I can reduce a data transformation process from two hours to 30 minutes, that frees me up to do other data projects. "If I can reduce a data transformation process from two hours to 30 minutes, that frees me up to do other data projects," he said, adding that he sees coexistence ahead for Tableau and Power BI. "Tableau has its niche, but it is not about ETL [extract, transform and load]. It is very specific in what it handles," Linden said. "Microsoft is broader." Improvements to Azure Analysis Services demonstrated at PASS Summit 2017 focused on integration with Power BI, Excel and Reporting Services, as well as third-party and custom apps. Dragging and dropping large data sets for use in dashboards and report generation was a highlight of the day one summit keynote, as described in this Talking Data podcast. Listen to the podcast to find out more about Microsoft's moves in analytics and its other data undertakings. How will your firm strike a balance between on-premises and cloud-based analytics going forward?